Update: Version 1.1 is now Available. 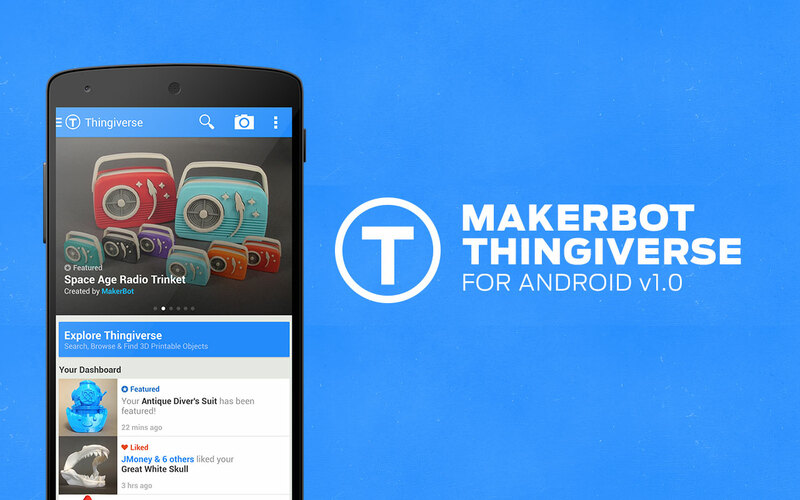 Last year, we launched our first mobile app for MakerBot, Thingiverse for iOS. My role in that was basically to polish and do some minor UX but it was mostly an outsourced app. 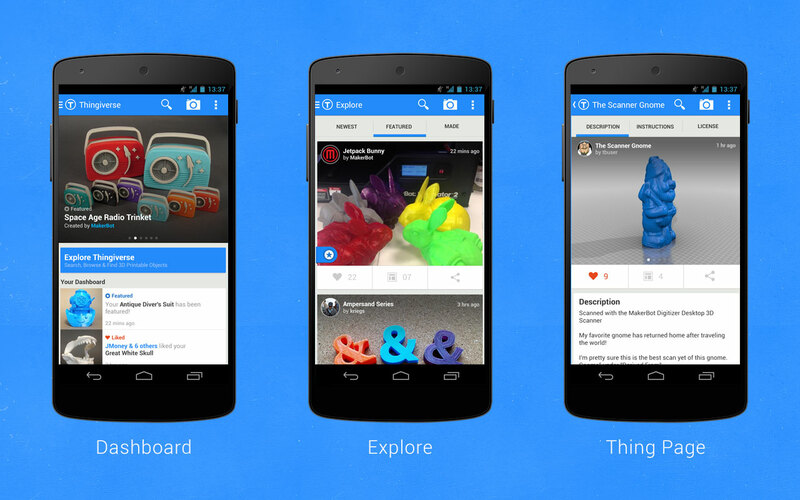 The fun really began a few months ago when I got the green light to explore porting our iOS app to Android. Personally, I’m an Android user so this got me very excited! The devs were fantastic to work with and we got this app out on time. 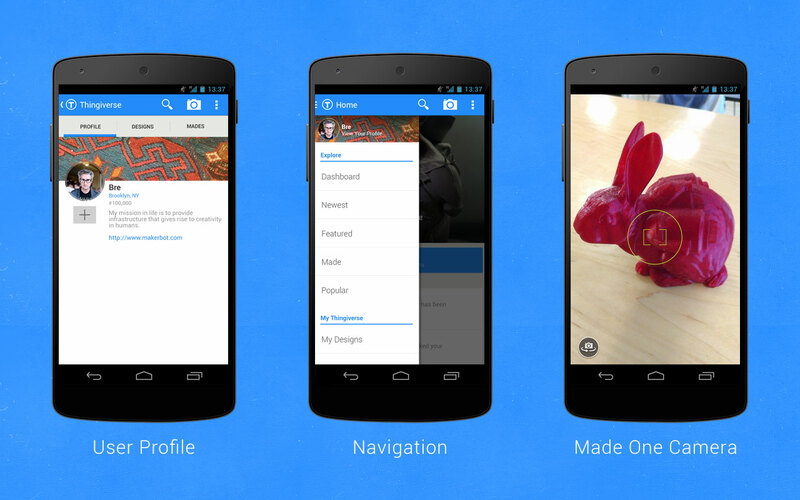 I couldn’t be happier with the outcome of my first full app design and look forward to future Android app releases!